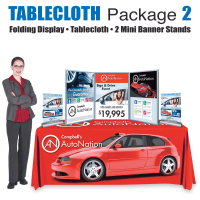 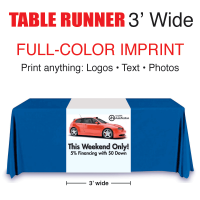 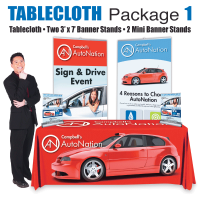 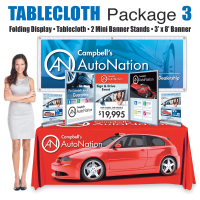 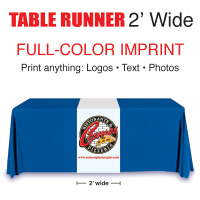 This tablecloth fits a standard 6' trade show table. 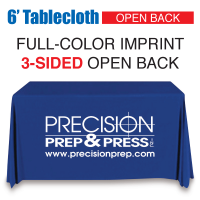 Fabric is available in 6 colors. 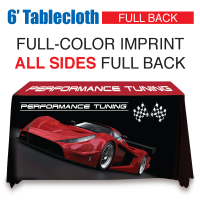 Cloth hangs to floor on all sides with full back. 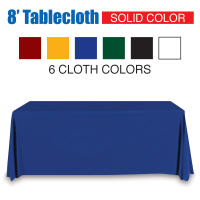 Solid Color. 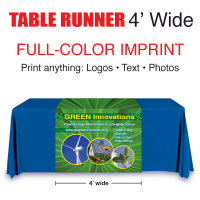 • Fabric colors: Burgandy, Gold, Blue, Green, Black or White. 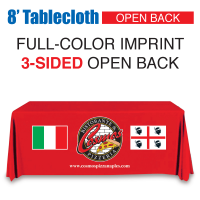 • Cloth hangs to floor on all sides with full back. 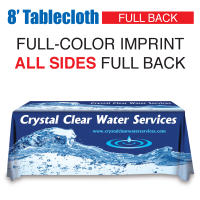 Solid color fabric on all sides.